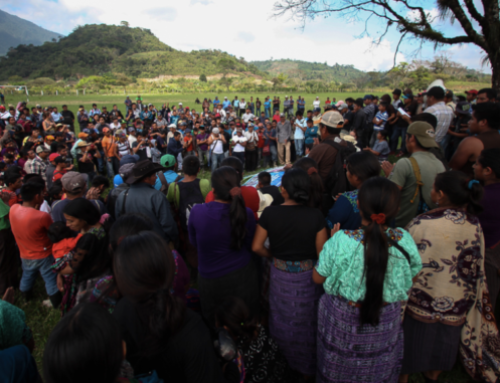 The following article was co-written by MiningWatch Canada and the Network in Solidarity with the People of Guatemala (NISGUA). Following the suspension of two of Tahoe Resources’ mine licenses in Guatemala on July 5, Tahoe Resources’ suppliers, workers and the Guatemalan Industrial Association have engaged in a smear campaign against the Centre for Environmental, Social and Legal Action (CALAS) and its members in the Guatemalan press for having brought the claim against the Ministry of Energy and Mines that led to the decision. The defamation puts CALAS and its members at risk of further violence. 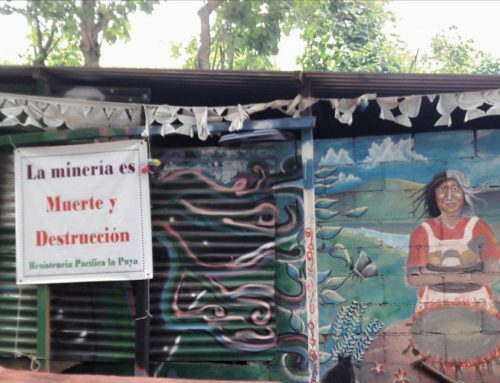 On Wednesday July 5, the Guatemalan Supreme Court of Justice announced that it was temporarily suspending two of Tahoe Resources’ mining licenses until a suit against the Ministry of Energy and Mines is resolved for discrimination and lack of prior consultation with Indigenous Xinka communities in the area of the company’s Escobal silver mine. Tahoe has consistently denied the presence of Xinka communities in the immediate area of influence of the Escobal project and failed to report on the strength of opposition of both the Xinka and non-indigenous communities affected by its mining operations. During a Tahoe conference call on Thursday July 6, one investor analyst asked the company if it, its employees, its supplies or anyone connected to the company might have status in Guatemala to bring a lawsuit against CALAS, its members or any members of the Xinka community. In response, President and CEO Ron Clayton stated that its suppliers were already preparing to bring a lawsuit to try to appeal the decision and that: “Our suppliers, vendors, contractors and employees are all aggressively involved in fighting this.” As announced in the conference call, on Monday July 9, representatives of suppliers presented a legal action to try to revoke the mine suspension. The Guatemalan Industrial Association (CACIF) has since published a full page ad in national press accusing CALAS of fomenting conflict in the communities around the Escobal project and of not being representative of the Xinka Indigenous people. Suppliers and workers also spoke to the press, accusing CALAS members of violating their rights and spreading lies in the communities. Notably, CALAS has been the subject of regular attacks for its work in defense of collective rights and the environment, including the murder of 22 year-old Jeremy Abraham Barrios Lima, assistant to the Director of CALAS in November 2016, and a 2008 armed attack against Director Yuri Melini. While the Supreme Court’s decision puts a temporary hold on mining operations at the Escobal project, the mine was already effectively suspended as the result of a month-long peaceful protest that blocked mine-related traffic from getting to the project with the necessary supplies for operations. Beginning June 7, 2017, community representatives from six municipalities surrounding the mine maintained a 24-hour peaceful encampment in the municipality of Casillas, 15 kilometers from the entrance of the Escobal mine. They protested the environmental impacts of mining operations, recent seismic activity that they believe is attributed to explosions at the mine, heavy transport of vehicles on the roads, the social conflicts caused by the mine, and the failure to respect the results of the 18 municipal and community referenda that have been held in the region that have expressed opposition – including in the municipalities of Mataquescuintla, Nueva Santa Rosa, and Casillas, where one of the company’s two suspended licenses overlaps. Read more on the protest. During the period of the blockade, hundreds of police unsuccessfully tried to bring an end to the action using tear gas, for which two young children had to be treated for intoxication. Tahoe Resources’ suppliers also published full page ads in the national press during this time accusing CALAS of manipulating the thousands of people from six municipalities who were participating in the peaceful action. Despite company statements after the July 5 Supreme Court decision that “there are no indigenous communities affected by Escobal’s operations” and that an adequate consultation was nevertheless conducted, shareholders have demonstrated that they are not so convinced. Since this time, Tahoe Resources’ stock value has plummeted 40% and various class action law firms have announced investigations and shareholder suits against the company. This lawsuit comes on the heels of Tahoe Resources having its most profitable quarter yet, in Q1 2017, mining 5.7 million ounces of silver at Escobal – one of the world’s largest silver deposits. It is important to recall that Tahoe Resources got its mine into operation using a highly aggressive militarized security strategy to try to quash community opposition to its Escobal project, including by hiring a US security and defense contractor with experience working in war zones like Iraq and Afghanistan to help develop its plan. Tahoe Resources also has a track record of coordinating with local and national security forces and using military counter-intelligence techniques to repress and undermine opposition to its project. In 2012, the company sued the government for not doing enough to combat growing resistance to its project. In 2013, the company helped the government install a pilot project led by the National Security Commission in the area after deeming those opposed to the mine as a threat to national security. Shortly after, a month-long state of siege – or Martial law – was declared in four municipalities neighboring Escobal. In November 2016, Tahoe’s subsidiary sent a letter to the Minister of Defense asking it to take action to control a protest outside the mine over houses that had been damaged due to mine blasting. To date, some hundred people have faced legal persecution for trying to hold their own local referenda or for participating in peaceful protests, only later to be absolved of all charges for lack of evidence. Read more about Tahoe’s use of criminalization and violence. Ways that you can take action! 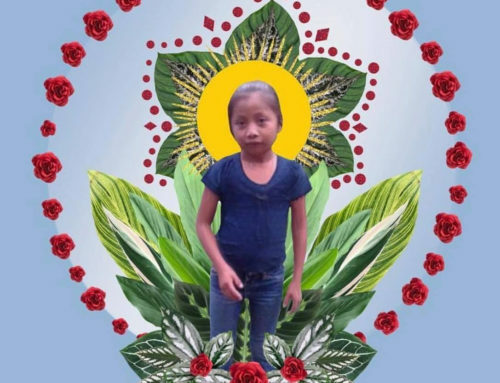 Demand that Tahoe abide by due process in the current Supreme Court process, and stop promoting the use of legal persecution, repression or any other means of backlash against the population of Santa Rosa, Jalapa, Jutiapa, CALAS and all other organizations that are working with them. Click here to send a pre-written letter to Tahoe Resources or personalize your own.